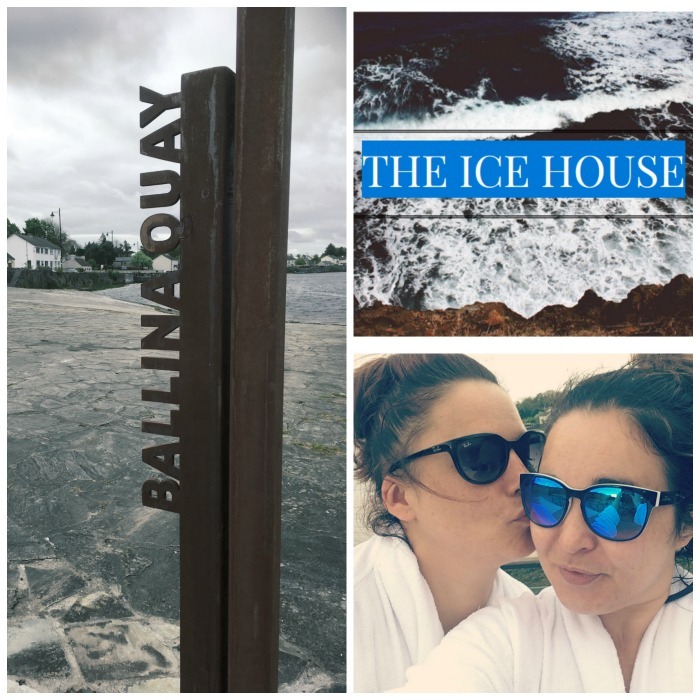 The Ice House Hotel, Ballina, Co. Mayo: Is It As Cool As Its Name?! 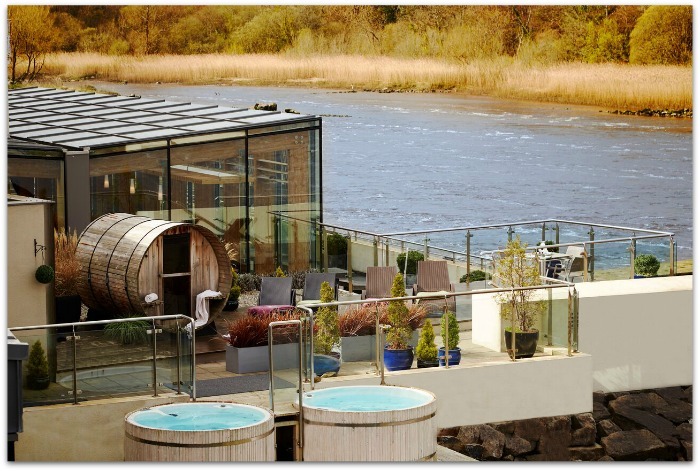 The Ice House hotel is all about the River Moy. It informs the history and name of the hotel, and provides a powerful and dramatic backdrop to your stay. Everything is designed to take advantage of the spectacular river views. The spa and dining room not only overlook it, but both areas extend outside. In some guest rooms, at high tides, the water laps against the exterior walls. In ours, the floor-to-ceiling windows made us feel like we were actually at sea. The architecture is part traditional Victorian house – once used to pack salmon on ice, in pre-refrigeration days – and part stylish modernism. You get a completely different view from either side. Inside, the eclectic design scheme is stylish, but playful, too. Reception and a very pleasant drawing room are located in the old house and equipped with antiques and Victoriana. Elsewhere, there’s a mix of modern artwork, historical photographs and quirky objets d’art. There’s lots of stone and glass and wood, and the bathrooms deserve a special mention: ours was very slick, with a slanted marble sink and excellent shower. The hotel is run with a rare attention to detail. There’s a genuine warmth and care that is evidenced in the personal touches. On arrival, we were walked to our room. Beside the kettle, we found a small jar of home-made cookies. Tealights and matches were positioned by the bath. We were handed plastic glasses of prosecco (safety first!) while lounging in the hot-tub. There’s an extensive gin menu, including a blend by the in-house mixologist. 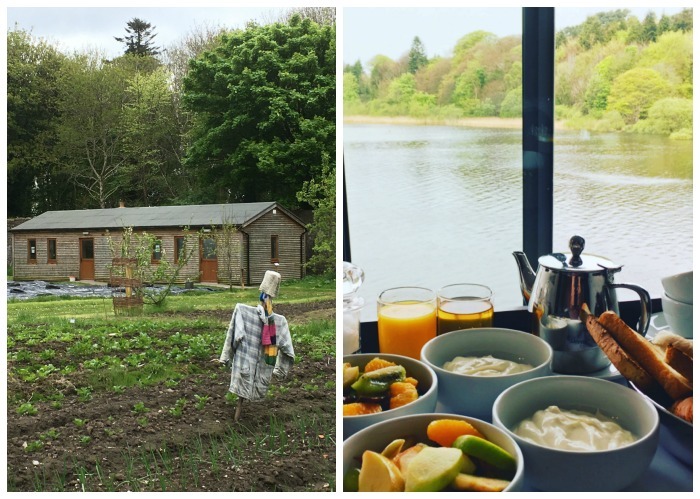 And when we took our coffee outside after dinner, we were followed by our server - and draped in cosy blankets from Mayo’s Foxford Woollen mills. Now that’s service. The food, too, is exceptional. The presentation may be nouvelle cuisine, but the portions are hearty and generous. And there’s a real focus on food that is local and seasonal. Veggies come from the nearby organic garden at Enniscoe House, which we visited as part of our trip. That's some of it to the left in the photo above; to the right is the breakfast view from our room. So you already know that the Ice House a lot going for it - and we haven’t even got to the best bit. As anyone who has read my insta bio will know, I am a fiend for an outdoor hot-tub. The Chill Spa at the Ice House has two - and yes, I hung out in both. There is also an outdoor barrel-shaped sauna, an indoor steam room and a rain shower. All of this can be accessed by hotel guests regardless of whether you’re booking a treatment – but sure in for a penny, am I right? And I can whole-heartedly recommend the Voya massage, which was absolute bliss. It left me in a melty state of contentment which was further enhanced by some contemplative riverside hot-tubbing. The Ice House lets you relax right down to your very bones and that, for me, is the magic of it. Yes, there’s loads to do in the area - the North Mayo section of the Wild Atlantic Way offers everything from cliff walks fishing, water sports, hiking and more - but sometimes it’s just as important to unplug, unwind, and do absolutely nothing at all. Check out the hotel website for the latest deals and offers; currently, a two night break starts from €284 pp including dinner on one evening. 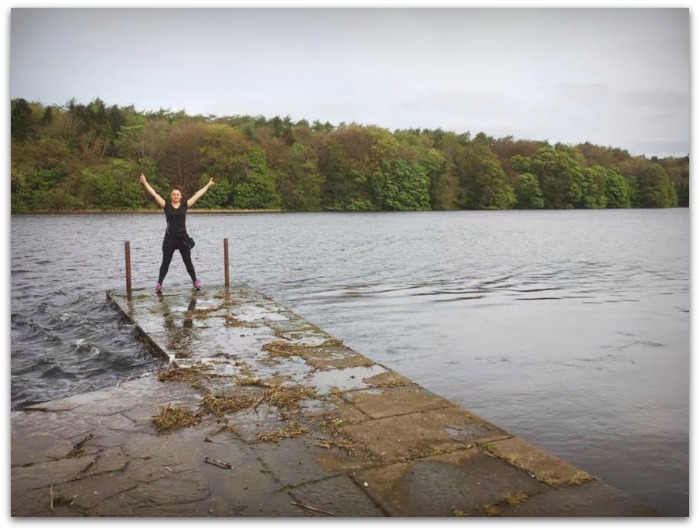 The hotel can book you in with the excellent Rachel’s Irish Adventures for hiking, tours, whiskey tours, watersports and other adventures. Fluff and Fripperies was a guest of the hotel.